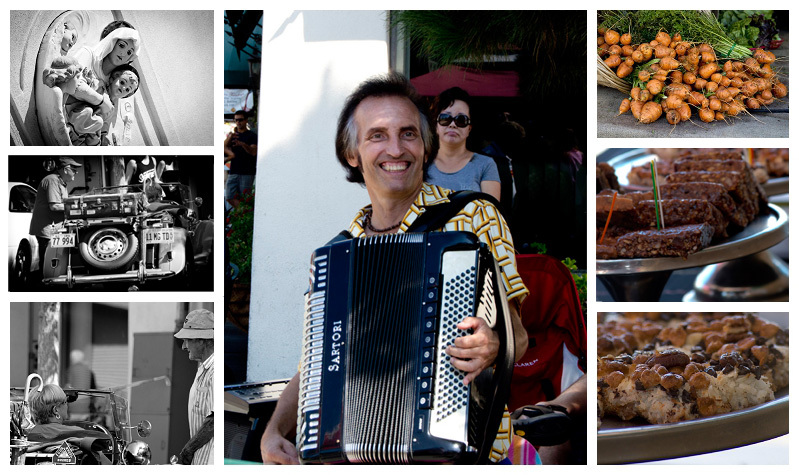 I recently attended a photowalk in Little Italy; one of my favorite places in San Diego. It was lots of fun. The walk had a twist, it was a Macro photography walk; so paying attention to little things, was a must. I only have one lens that has macro capabilities and it is a 70-200, not really a high end lens, and it isn’t stable at all. I had to take each picture several times because my hand would shake like there is no tomorrow and at macro scales the minimum shake really shows on the pictures. I tried holding my breath, shooting while exhaling seem to help better, I tried looking for support when ever i could find something, experimenting with exposure compensation, etc, etc. I think the experiments worked, for I had a few great shots. I was not without being tempted at non-macro shots; little Italy is such a cool neighborhood, specially during the farmers market. So I’m including some street photography in this post. The first batch is really cool how you see some decay, rusting and even spiderwebs, but then, there is the hope of new sprouts and colorful life. I’m sure lots of farmers markets have these many textures and colors, and tasty food, and super interesting flowers, I can’t help but to think, they have put much effort in presentation here, the contrast in colors, the arrangement of the veggies, the flowers that you see first, it’s almost screaming take a picture of me! It’s a good thing they only accept cash, for I would’ve made many compulsive buys just because It looked good. Check the contrast in face expressions given by both Smiling Jack and the lady behind him! I thought that was hilarious.His music was very entertaining, and around him were many tables of people who enjoyed his music. That smile though, is intriguing. The most interesting couple with the coolest car and luggage were parked in the middle of everything, you can’t help but notice them; more food of course! and a shot of one of the figurines in front of the “Our Lady of the Rosary” Church looking down taking care of it’s people. Nice photos Chio. Keep up the good work.